We're meeting up 7 PM at the Dusit Thai Restaurant, 2404 University Blvd. W. Wheaton, MD. Mapquest link: http://tinyurl.com/5ayb8 - there are very few parking spots at the restaurant, so look for parking in the municipal lot at Price Ave. and Fern St. We'll meet in the side room. This will be an informal, fun meeting. We will set up task forces and working groups on key issues. 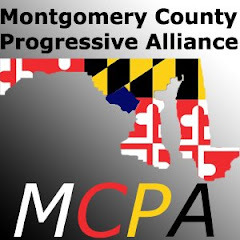 Future Events: We're combining with a local group called the Montgomery County Progressive Alliance - formerly known as Montgomery County for Kerry. First Meeting 7:30 PM April 21st (place TBA). We're stepping up activity and unity with like-minded groups and individuals in anticipation of critically important elections and legislation in Montgomery County, Annapolis, and on Capitol Hill. We're working closely with 1000s of Democracy for America and Progressive Democrats of America activists nationally. We're planning events and forums for candidates running for the Senate and Governor as well as local offices, and other special events. High on the agenda are neighborhood projects like community clean-ups and canned food drives, lobbying days and much more.